Treasure, adventure and underwater fun! Join Melissa in an underwater adventure in Deep Blue Sea 2. The story picks up when Melissa receives an old postcard from her sister, Jessica, written in secret code. The letter directs Melissa to Billinger Island, the location where Jessica was seen for the last time… Are you ready to leave everything behind and help a young woman save her sister and solve the secrets of the Avalonia? In this much awaited sequel, you'll clear boards by linking similar undersea symbols. Then try your hand as a treasure hunter, diving to the bottom of the sea to collect precious hidden objects! 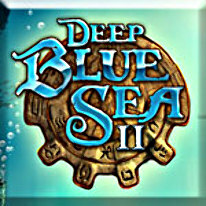 Assemble your own crew, develop a strategy, and be very attentive in order to master Deep Blue Sea 2!